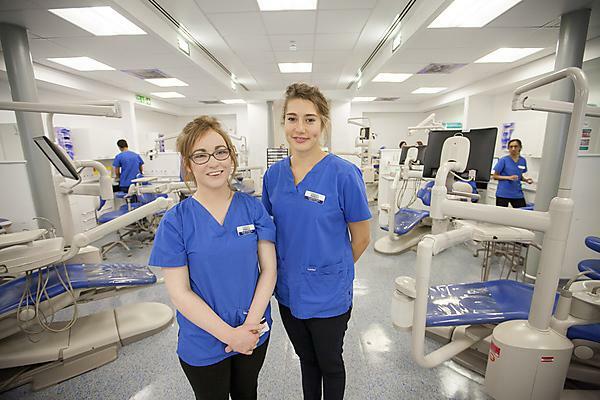 Two dental students from Plymouth University Peninsula Schools of Medicine and Dentistry are to travel to rural Nepal to help children there keep their teeth and gums healthy – and they are using the innovative and exciting method of crowdfunding to fund their trip. Sarah Armstrong and Josie Kane will travel to the foothills of Annapurna, a remote area of Nepal, to deliver a preventative oral health programme to children in the area. There are just 500 dentists in the whole of Nepal and 80 per cent are based in the capital Kathmandu – which means a very small number for the rest of the country. For many people living in remote areas of Nepal, a visit to the dentist means a long and arduous trip and usually happens only when they are in extreme pain. As a consequence, many of the people Sarah and Josie will meet may never have seen a dentist in their lives. The pair will assess the oral health needs of children on their visit and will use modern oral disease prevention methods to help improve the children’s oral health, as well as leave them with the necessary information to maintain healthy teeth and gums. Not only will Sarah and Josie provide basic preventative treatments, such as fluoride varnishes, they will also work with local health providers to help them better understand and adopt modern methods to ensure good oral health. Their trip has been arranged with Work the World, an organisation which organises work experience worldwide for students in the health care sector. Work the World will supervise Sarah and Josie on their trip. Sarah and Josie are hoping to fund their trip via Crowdfunder, an exciting and innovative way to raise money for the project. The pair need £500 to pay for their trip, and individuals can help to raise that amount by pledging sums via their Crowdfunder webpage - www.crowdfunder.co.uk/preventative-dentistry-in-rural-nepal. Sarah and Josie have until 8 December 2014 to raise the amount they need via Crowdfunder.